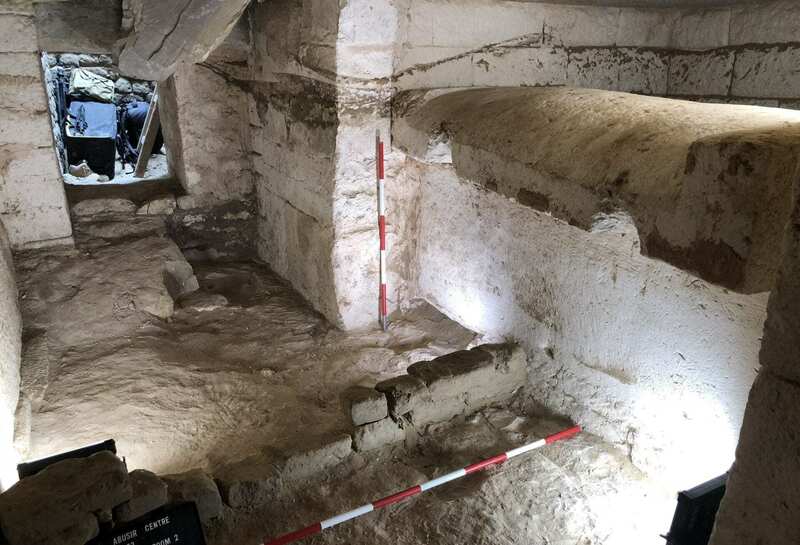 The Czech Institute of Egyptology of the Faculty of Arts at the Charles University has discovered a unique burial complex of the royal confidant and priest Kaires within the Abusir pyramid field. The tomb is located in the heart of the pyramid field of the 25th and 24th centuries BC (The reign of the 5thDynasty during the Old Kingdom) in an area normally only assigned for members of the royal family and state dignitaries. The complex of Kaires extends over an area of over 500 m, and besides the tomb itself, contains several other rooms which served for the funerary cult and the ritual purification of the priests before they could enter the tomb. The cult chapel represents a completely unique architectural feat of the entire 3rd millennium BC, as it was paved with basalt blocks. The use of basalt was an exclusive privilege of the kings and its presence here is one of several pieces of evidence of the exceptional status of the tomb owner. Unfortunately, only a few pieces of the cultic stela with the owner’s titles, the so-called false door, have been preserved to present times. 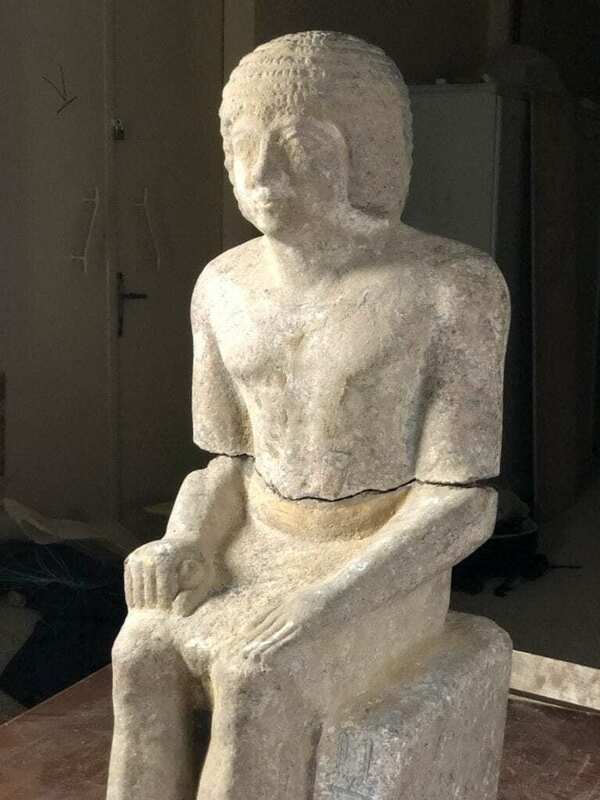 The burial chamber of Kaires was looted in antiquity, but next to the limestone sarcophagus his granite statue has been preserved in its original location. The tomb was built in an open pit in which the sarcophagus would have been lowered down inside. The walls were then lined with limestone blocks and the chamber closed by several giant ceiling blocks of limestone, each of which weighs at least 8–9 tons.